I was thinking…Time to decide about the Balanced School Day? Time to decide about the Balanced School Day? I would like to thank all the staff, students, parents, and my peers for the conversations we have had regarding implementing the balance school day for next year. As a learning community we have been talking about the balanced school day approach since September, we did a lot of planning for our trial run in April, and we have had a lot of discussions on whether or not we should implement it for next year. Shortening the first nutritional break and lengthening the second break. This would allow the school community to eat together in the gym during the second break. We also changed the time of our intervention block to allow for the gym to be set up. These changes should allow some students enough time to go home during the second break. During the first break students would eat in their classrooms, but we would not have any microwaves available. 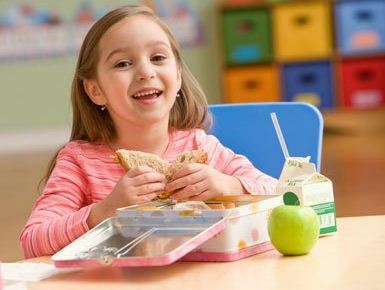 The first break would be for eating healthy snacks and non-microwaveable meals, while the second break would be more of a traditional lunch break in the gym. 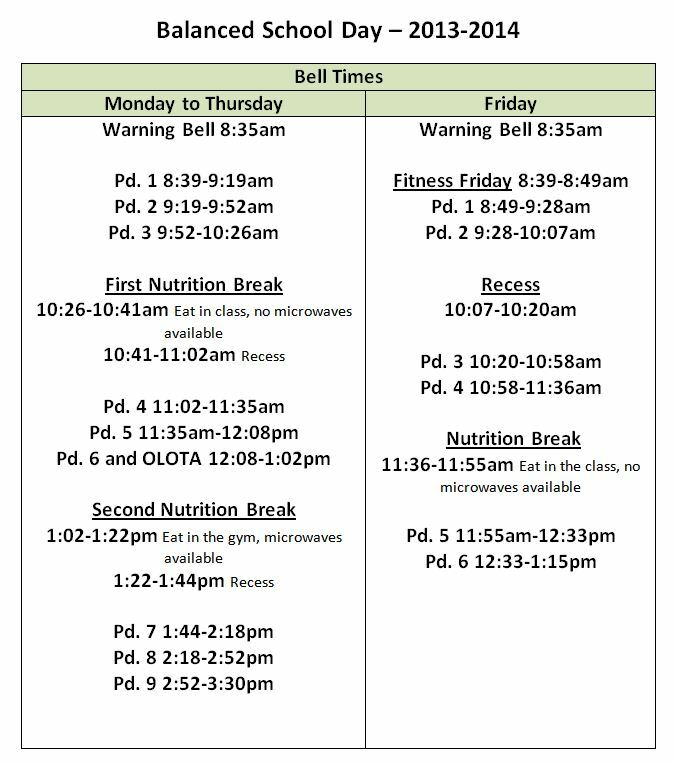 We are trying to adapt our supervision schedule to have supervisors in the division one classrooms during the first nutritional break. Some students did not like it because they felt they lost a recess. Most students liked it because they had more time to eat and had longer recesses. A few staff members did not see major benefits. Many staff members liked the experience. Some parents do not support the balanced school day approach. More parents liked the approach and see it as an improvement. Almost all parents see the potential benefits. Members of School Council saw more positives than negatives. More importantly, they have a desire to make our school a better place. They see how the balanced school day might improve our school. The idea of piloting the balanced school day for the entire 2013-14 school year came from a member of School Council. School Council is supportive of the balanced school day approach. 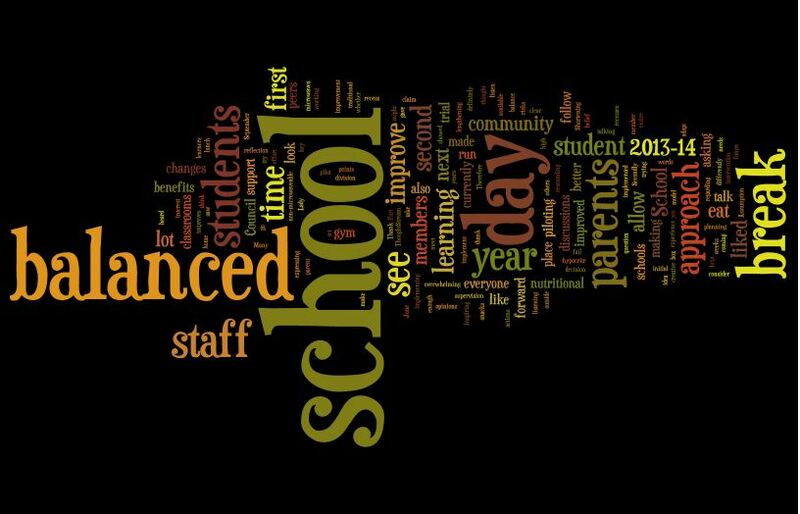 From the results of our recent ThoughtStream, both staff and parents showed a high interest in doing a pilot of the balanced school day for the 2013-14 school year. My peers that currently do the balanced school day are all positive about it. All of them claim that after some initial bumps, the overwhelming majority of students, staff, and parents support the balanced school day. To the question of “Does the balanced school day improve student learning?” all gave a resounding yes. Firstly, it was clear to me that the schools that currently follow the balanced school day firmly believe it has improved their schools and had definitely improved student learning. They believed the balanced school day allowed for more instructional time, bigger blocks of instructional time for literacy and numeracy, and improved learning environments as the students were more focused. If the balanced school day approach improves student learning, how can we not try it? Secondly, as a leader in our school I have been challenging students, staff, and parents to be creative. I have been asking them to think outside of the box, to take risks, to fail forward. In the spirit of Inspiring Education, I have been asking everyone to consider doing things differently to better meet the needs of all learners. Therefore, I need to support this change. Actions are stronger than words. Thank you again to everyone for expressing your opinions. I know this will be a big change, but please know all the children will continue to learn and be loved and cared for in a Christ-centered community. I look forward to working with you in continuing to make our school a special place.